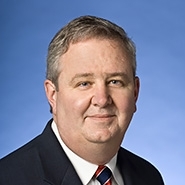 Preti Flaherty partner, Michael Sheehan, is highlighted in a Sun Journal article on his representation of the Town of Jay. Verso has 60 days to appeal the decision to the town's Board of Assessment Review, Sheehan said after the meeting. If mill officials do appeal and do not like the decision from that board, they can appeal to the state Board of Property Tax Review and from there they could take it to Superior Court and then to the state Law Court, he said.